Jacob rolls 2 Scott rolls 3. Scott decides to go first and sets 1 monster and 1 backrow, then passes turn. Jacob activates Pot Of Duality to reveal Fire Formation – Tenki, Bujin Yamato and Bujingi Crane, he chooses Tenki and uses it to search Yamato. He normals Yamato and sets 1 card, then attacks Eclipse Wyvern, who banishes Judgment Dragon with its effect. During his end phase Jacob attempts to use Yamato, but is met with Scott’s Breakthrough Skill. Jacob draws and summons Bujingi Turtle, attacking for 1700 and 1900 with Yamato and Turtle. During main phase 2 he XYZ summons Bujintei Susanowo, detaching Turtle to send Bujingi Hare to grave. He then passes. Scott sets 1 monster and passes. Jacob activates Rageki to destroy the set Necro Gardna. Jacob normal summons Bujin Mikazuchi and banishes Turtle to summon Hirume. He attacks with Mikazuchi and Hirume but the Susanowo is stopped in its tracks by Necro Gardna. In main phase 2 Jacob makes Gagaga Cowboy and wins the game by inflicting 800 points of damage. Scott’s bricked hand has cost him the first game. 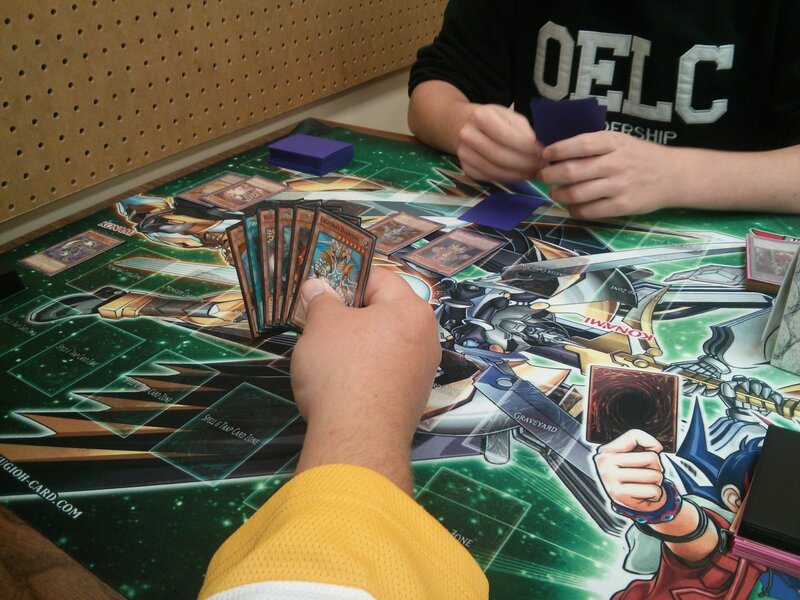 Both players decide not to side deck for duel 2. Scott opts to go first. once again. He draws for turn and activates Charge of the Light Brigade sending Soul Charge, Raiden, Hand of the Lightsworn and Judgment Dragon from deck to grave to add Lumina, Lightsworn Summoner to his hand. he summons Kuribandit and activates its effect in the end phase, excavating Wyvern, Felis, Lightsworn Archer, Royal Decree, Garoth, Lightsworn Warrior, and Solar Recharge. He adds Recharge to hand, and summons Felis with its effect. Finally, he banishes Judgment Dragon for Wyvern and ends his turn. Jacob activates Kaiser Colosseum , sets three backrow and normals Mikazuchi . He attacks and uses Enemy Controller to switch Felis to attack position, destroying it by battle. He passes afterword. Scott uses Solar Recharge, discarding Raiden to send another Raiden and Ehren, Lightsworn Monk from the deck to the graveyard, drawing 2. He special summons Judgment Dragon and activates its effect, devastating the field and blowing away Mind Crush , Compulsory Evacuation Device, Kaiser, Mikazuchi and Mirror Force. Jacob concedes, unable to overcome the crushing blow. Scott wins game 2 easily with a field nuke from Judgment Dragon. Both players once again decide not to side deck for game 3. Jacob decides to go first. He summons Yamato and sets 1 backrow. In his end phase he uses Yamato to add Mikazuchi to his hand, then sends Hare from his hand to the graveyard. Scott draws and comments that he doesn’t think he can win this one. He passes after setting Necro Gardna. Jacob starts by summoning Mikazuchi, he proceeds to use Yamato to attack the set monster and Mikazuchi to attack directly. During the end phase Yamato adds and discards turtle. Mikazuchi activates because of Yamato and adds Bujincarnation to Jacob’s hand. Scott ends after drawing for his turn. Jacob starts his turn and summons Hare, then banishes Turtle for Hirume and proceeds to his battle phase. He attacks with Hare, Yamato, Mikazuchi and Hirume, but Hirume is blocked by Gardna. Main phase 2 Yamato and Hirume overlay to XYZ into Bujintei Kagutsuchi, which activates its effect and sends Tenki, Mikazuchi, Turtle and 2 Pot of Dualitys, boosting him by 200 attack points. He then uses the remaining 2 for Susanowo, detaching Hare to add Yamato and passes. Scott draws and summons Lyla, Lightsworn Sorceress, then proceeds to his end phase. Lyla sends Necro Gardna, Lightray Diablos and Eclipse Wyvern to grave. Scott banishes Diablos for Wyvern. Jacob detaches Mikazuchii to add Hirume to hand. He attacks Lyla with Susanowo but is overpowered by Honest. Jacob attempts to attack again with Kagutsuchi but is stopped with Scott’s Necro Gardna. Jacob sets one monster and passes. Scott summons Minerva, Lightsworn Maiden, but Jacob responds with Enemy Controller, tributing a set Bujingi Quilin to take Minerva. Scott uses foolish to send Necro Gardna to grave, and attacks over Minerva with Lyla. End phase Lyla sends Tidal, Dragon Ruler of Waterfalls, Royal Decree and Solar Recharge to grave. Jacob summons Yamato, banishes Quillin to destroy lyla with its own effect, and attacks for game with his monsters. Jacob wins game 3 with a commanding field and moves on to finals.